I can’t see Manny anywhere. I stand and fret in St Kilda Road. The spring gale blows a clatter of discarded plastic drink cups along the great boulevard. The cups fly and land and take flight again, baffling the redshirted volunteers who try to arrest them. In all the great sweep of road it is only the volunteers who run, no others: the marathon field has swept past me as I keep my watch and ward, as I wait and wait for Manny. Last night Manny sent a message: I’m hoping miracles do happen. This will be my thirty-ninth Melbourne Marathon. I am determined to start. I don’t want to embarrass myself. I hope I make it to the five kilometre mark. I’ll meet you there around seven-thirty I hope. I have been watching since seven-fifteen, searching faces, peering into the throngs for sight of Manny’s familiar features, his labouring body. The road has been full, but empty, empty and desolate. So Manny has been defeated at last. 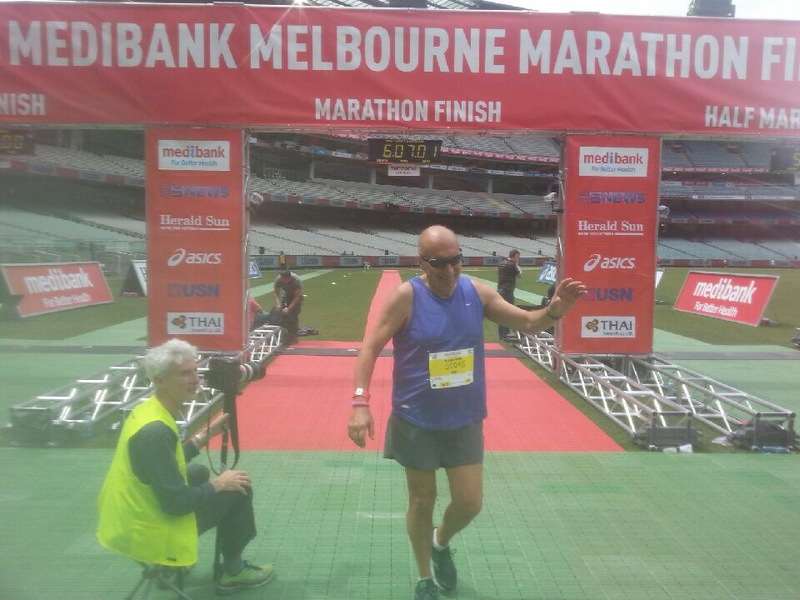 After running thirty-eight successive Melbourne marathons, one of only eight people who have started and completed every one, Manny has admitted defeat. And it is not the event that has defeated him, but his illness. The wind howls in my ears, dust flails my face. I am almost relieved that Manny does not have to run into the gale. I turn for home then look back over my shoulder. At the extreme of sight two figures are dimly seen. Their bodies are shapes, undefined. They seem to move: are they moving towards me or away? I wait. Yes, two figures, moving slowly, making slow progress in my direction down St Kilda Road. Can this be Manny and another, a support person? I wait my turn to become the next in Manny’s chain of supportive escorts. 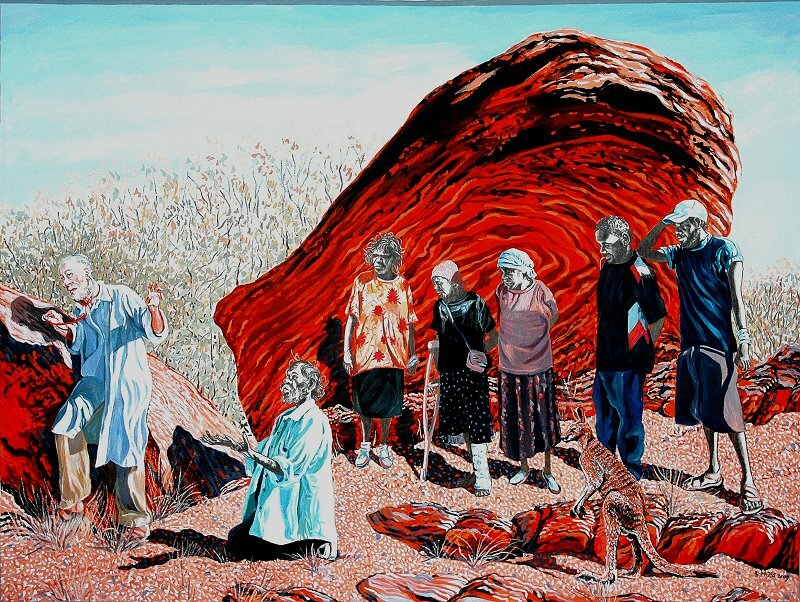 The figures approach, they gain definition. They move comfortably, they laugh and wave. They are young, female, they are not Manny. Sombrely I jog back, keeping pace now with some lagging half-marathoners. Sloggers, these, a sub-sub-sub elite, united in dour resolution. These runners have the Manny spirit, the spirit that brought him through and home in the last two full Melbourne Marathons. Back home I try to call Manny. No luck. I call his devoted son – all his relatives love and cherish him: no answer. I leave an anxious message. Restless, I await news. Day ends without word. I send an email. 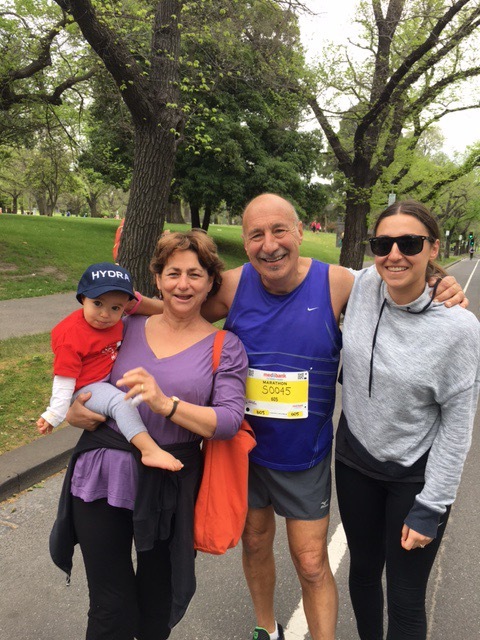 Finally the following arrives: With help from my wonderful family I did the impossible and finished the thirty-ninth Melbourne Marathon. I did the Cliffy Young shuffle and someone was with me all the way to help me along. I’m feeling very sore and tired. I’m sorry I missed you. Hopefully we can run together next year. ‘Next year’. Two years ago Manny’s cancer doctor warned him against running: You fractured a cancerous rib just by coughing. You might have cancer in any of your bones. You can’t afford to run. But Manny did run. In 2016 with the same warning echoing, he asked his GP what he thought; this GP said, I’ll run at your side. And that was our plan again this year. But I missed him. I missed him but Manny ran. He shuffled through the spring gales and he completed the full forty-two kilometres, plus the final terrible two hundred metres. And I missed witnessing one of the great athletic feats, one of the triumphs of the spirit over the flesh. Next year, Manny, next year. My hat is tipped to Manny. What a strong spirit he is. Manny the madman can achieve anything! Wonderful, the brain always has power over the body.